Since 1991, Earth Tech is committed to delivering superior solutions and extraordinary customer service to both residential and commercial projects throughout Florida. With experience that is unmatched in the soil stabilization industry, our services include; compaction grouting, chemical grouting and underpinning. Helicon Property Restoration is the premier provider of foundation and sinkhole repair in Florida, priding itself on providing high quality service, for both insurance companies and private customers. We strive to exceed everyone’s expectations. L.R.E. 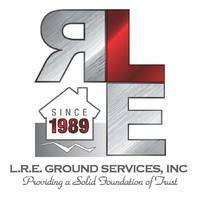 has completed nearly 5,000 commercial and residential foundation repair projects throughout Florida since 1989. Our family owned and operated business is Florida's largest foundation contract, employing 130 full-time team members and deploying over 20 crews each day. This manpower, along with our state-of-the-art equipment, allows L.R.E. to carry out projects in a clean and efficient manner. We also offer comprehensive warranties for our work. Superior Foundation Solutions, LLC, has provided excellent, hassle-free foundation restoration and stabilization experience to homeowners and businesses throughout Florida for over 10 years. Our quality workmanship has earned us a reputation as one of Florida’s premiere contractors and has earned the “2011 Large Company of the Year” award from the Tampa Latin Chamber of Commerce. We are committed to delivering Superior Foundation Solutions with state-of-the-art equipment allowing our clients peace of mind. We specialize in Underpinning, Helical Piers, Compaction Grouting, Chemical Grouting, Injection Piers and Pre-construction Piers. Uretek strives to provide customers with the most cost-effective, safe, and minimally invasive foundation lifting and soil stabilization solutions, to protect homeowner and commercial assets and livelihoods to the best of their ability. Founded in 1971, Central Florida Testing Laboratories, Inc. (CFTL) is the oldest engineering testing firm in Pinellas County under the same ownership and guidance. CRA is a worldwide, full-service provider of engineering, environmental, construction, and IT services, recognizing those who have contributed to the successes of our past and contribute to the goals of our future. Earth & Water Resources, LLC is a geologic consulting services firm with over 40 years combined experience in geologic investigations. We provide sinkhole and karst investigation services, neutral evaluations, peer reviews, expert opinions, and litigation support. Madrid Engineering Group, Inc. (MEG) provides engineering, environmental, and geologic services, specializing in geotechnical engineering for structure foundations, earthen structures, and subsurface construction. Additionally, MEG offers in-house drilling services, soils and materials lab testing, and Construction Engineering & Inspection services. MEG has specific expertise in soil stabilization, including chemical stabilization using various methods; geotextiles and geogrids; grouting, underpinning and wall anchoring systems. MEG is also the U.S. National Technical Expert for CONSOLID, a chemical stabilization and waterproofing system for road construction. Tierra is a full service consulting geotechnical, structural, forensics, environmental and construction materials testing engineering firm. Tierra began operations in Florida in May 1992 and has offices in Tampa, Winter Garden, Pensacola and Niceville Florida. Tierra has a long and successful history of providing superior and innovative service to its clients throughout the southeastern United States. Tierra provides its clients with high quality professional service, timely scheduling and economical engineering solutions. We offer a personal commitment to each client to define, understand and achieve the client’s objectives. For over 30 years, 2-10 Home Buyers Warranty® has been an innovator in the home warranty business by providing comprehensive home warranty services to builders, real estate professionals, and homeowners. B.E.T.-ER MIX (aka "Better Mix") has been in the ready-mix concrete and concrete block manufacturing business since 1972 with sales staff combining over 75 years of working knowledge of the industry spanning across 3 Florida locations. Honesty and integrity are cornerstones of the Brown & Brown (B&B®) culture. The Company's reputation depends on the conduct of its representatives. All persons who are associated with the Company are expected to conduct themselves professionally and ethically in the course of their duties, and to comply with all laws applicable to the Company's operations. 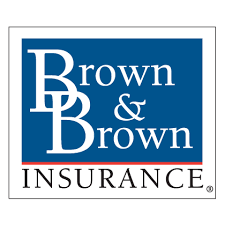 At Brown & Brown we know that the price of integrity is eternal vigilance. Preferred Materials, Inc. is a leading supplier of asphalt, concrete, concrete products, and paving services in the Southeast, with 15 asphalt plants, 32 ready mixed plants, and more than 750 dedicated and trained professionals. Preferred Materials is located in major growth markets in Florida, Georgia and South Carolina, making us perfectly positioned to partner with and supply public and private customers of any size. Customers who require specialized resources for full service project delivery are assisted by our Construction Services team. TMG Manufacturing offers an extensive line of quality geotechnical products and equipment specifically designed for the foundation stabilization industry. We manufacture underpinning and compaction grouting products, installation equipment and both compaction drill rigs and test rigs. We also have the ability to service your rigs and equipment with our on-site, full service repair and hydraulic shop. 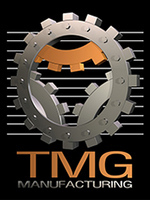 TMG is locally owned and operated with a 20,000 square foot manufacturing facility conveniently located in Tampa, Florida. We are committed to supplying our customers with a superior line of products while offering "One Stop Shop" convenience.